State Duma adopted the third draft of the federal budget proposal for 2019 and the planned period 2020-2021. Chamber Account Specialists have named their strengths and weaknesses. For the first time since 2010, the budget has been overtaken by a surplus of 1.93 trillion rubles in 2019, 1.22 trillion rubles in 2020 and 0.95 trillion rubles in 2021. Perhaps this is one of the most positive positive moments of the adopted budget. In practice, however, these data may change – both on a large and a smaller side. So, for example, the federal budget proposal for 2018 was laid down with a deficit of 1,271 trillion rubles, and as a result the revenues exceeded the expenditure by 2,139 trillion rubles. The State Duma adopted the bill on the respective changes to the federal budget for the current year in its third reading. A balanced budget remains one of the prerequisites for economic growth. The main financial departments may sometimes differ in the rating, but by 2019 everyone expects to grow slightly more than 1%. The Ministry of Economic Development therefore predicts GDP growth at 1.3%, the central bank – 1.2-1.7%. However, Chief Accounting Officer Alexei Kudrin admitted that this figure could fall below 1%. In 2017, the reserve fund was fully exhausted, leaving only the National Fund for Wealth (NWF) in 2018. The task of the National Social Fund is now to co-finance the voluntary pension savings of the Russians and to secure the budget – the pension and the federal. At the end of 2019, it is planned that at the end of 2020 the NWF's share of the NWF's funds will be 6% and between 2021 and 9.1% and 10.9% of GDP. This will allow, after reaching 7% of GDP in 2020, the Fund's money to be invested in new financial instruments in addition to already launched projects. In May President Vladimir Putin's outline drafted development goals and targets for the next six years. In 2019, these authorities spend 1.69 trillion rubles on their implementation, in 2020 – 1.86 trillion rubles and in 2021 – 2.08 trillion rubles. At the same time, the main areas of the federal budget were demographics, health, education, support for small and medium-sized businesses and other issues. The Development Fund appeared in Russia in 2018 as one of the tools to make May yield. It will finance more than 160 projects in the fields of housing and capital construction, transport, ecology, health, creation of training centers, etc. These projects should help bring the economy to new development and improve the quality of life of Russians. For six years, the fund's volume should not exceed 3.5 trillion rubles. At the same time, they reach 436.9 billion rubles in 2019, 582.8 billion rubles in 2020 and between 2021 and 612.9 billion rubles. 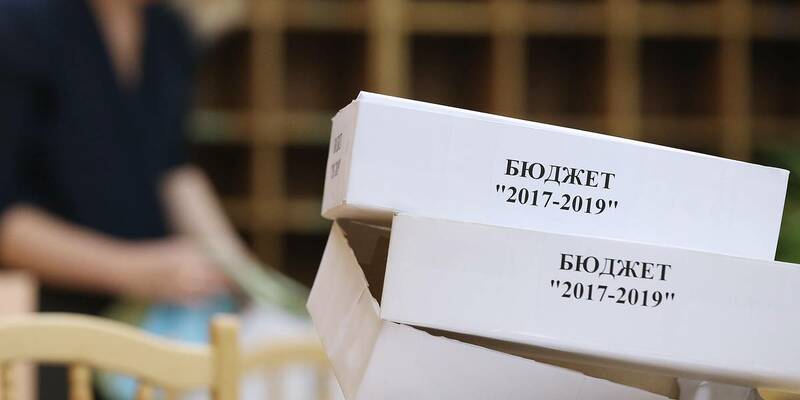 The draft budget was first published on the "e-budget"
Previously, the government has always submitted a federal budget and additional materials only in paper form. And in 2018, with the digitization of the economy, documents first appeared on the E-Budget portal in electronic form. The Federal Target Investment Program (FAIP) focuses on financing production and social infrastructure, promoting investment, supporting regions and ensuring external and internal security. to pass on the nuclear arcade "Arctic". Also in Astrakhan, Vladimir, Ryazan, Samarsk and Dagestan, new sports facilities will appear. The budget takes account of changes in legislation that affect revenue from the regional budget. The Finance Ministry has calculated that changes in tax and budget legislation could bring another 59 billion rubles to regional budgets, 119.1 billion rubles in 2020 and 101.2 billion rubles in 2021 in 2019. We are talking about changes in excise tax standards on alcohol and petroleum products into regional budgets and the indexation of excise duty rates for 2021. In 2019, regional budgets will receive 2.1 trillion rubles from the federal budget. This is 375.7 billion rubles, which is 21.8% more than in 2018. In 2020, transfers will be 2.2 trillion rubles, in 2021 – 2 trillion rubles. Federal authorities can redistribute some of their powers and pass them on to regions that need money to do so. It is from this federal budget and subsidies are allocated. In order to increase the financial independence of the entities, they will receive a single transfer linking eight subsidies. The regions will receive a total of 13.5 billion rubles for these purposes in 2019, 12.8 billion rubles in 2020, and 10.8 billion rubles in 2021. The authorities annually attract significant funds into the budget by means of loans in the form of government securities. These may be, for example, Eurobonds or Federal Credit Bonds (OFZs), both of which are essentially interest-bearing debt. The funds from their placement come immediately and their maturity can reach 30 years. The government may exchange the old edition of such documents for others with the consent of their owners. This is done to reduce the volume of public debt and / or maintenance costs. At the same time, however, there was less and less exchange between 2015-2017. As a result, it dropped from 67.6% of the volume set by the laws in 2015 to 26.9% in 2017. In the years 2012-2014, the exchange did not take place at all. The budget was created under conditions of legal uncertainty. According to the Chamber of Accounts, the last five years in Russia is not a standard that ensures the stability and predictability of the parameters of the draft federal budget and the consolidated budget of entities. And this again reduces the quality of their development. Thus, authorities at all levels can change or accept new documents that affect tax collection and / or changes in the volume of revenue from the budget. However, the acts that enter into force in the next fiscal year or planning period should be adopted at least one month before the State Duma draft budget is submitted. This provision was suspended until 1 January 2019. This makes it difficult to assess their real contribution to the achievement of the national objectives set out in the May Decree. Previously, Alexei Kudrin noted that implementation of 75% of national project indicators and an integrated infrastructure development plan can not be traced. For them, special tracking methods will be developed, but will be ready by the end of 2019. An underestimated growth forecast for the world economy was used in the calculation. The budget is based on the assumption that global economic growth will slow down from 3.7% in 2017 to 3.2% in 2024. For this reason, authorities may take insufficient economic measures to prevent Russia from achieving the goals set by Vladimir Putin . For example, in the spring of 2018, he urged the country to become one of the five largest economies in the world by 2024, making it a leader in the agro-industrial market. According to the list of sources of income, this is the entire set of mandatory payments – taxes, fees, insurance premiums, etc. That come to budgets of different levels. And when it is incomplete, it is difficult to reliably determine how and on what basis the cashier should receive it. As noted in the Accounting Chamber, innovations in the creation of budget expenditures for 2019-2021 were not successful – the structure was basically the same. So, by 2021, spending on military (defense, national security and law enforcement), social policy and health, environmental protection and education will increase slightly. But that's not enough. Housing, service and culture expenditure will remain close to 2018. Previously, Alexei Kudrin has repeatedly stated that it is necessary to change the structure and increase the share of infrastructure spending and human capital. Previously, state-owned companies submitted information on their net profits to Federal Property Offices. It was necessary to make an estimate of how much dividend income the budget could earn in 2019-2021. But the indicators incorporated into the project eventually significantly exceeded company data. The Treasury risks losing revenue in the form of state-owned dividends: 392.3 billion rubles in 2019, 423.5 billion rubles in 2020 and 491.3 billion rubles in 2021. They are used only as an analytical tool in government programs. There is a situation where one national project will be implemented in seven state programs and six cross-sectoral national projects will be taken into account in the structure of several state programs. Financial support in the passages of national projects is not in line with the budget allocation in the bill. According to the national project passports, the authorities planned to allocate 1.9 trillion rubles from their budget in 2019, 2.2 trillion rubles in 2020, and 2.5 trillion rubles in 2021. Initially, it was lower by 210.4 billion in the draft budget by the Chamber of Accounts – by 340 billion in 2019 – by 396.6 billion in 2020 – by 2021. At the same time, it is the biggest inconsistency in digital economy projects and international cooperation and export. In 2019, the Federal Treasury Department intends to include federal credit bonds (OFZ) of 2.4 trillion rubles, or 1.2 trillion rubles, or twice more than in 2018. Raising borrowing will lead to an increase in government debt of 13.8 trillion rubles at the beginning of 2019 at 19.5 trillion rubles at the beginning of 2022, ie at 16.5% of GDP. However, the state debt remains at a relatively safe level. Authorities expect that only 13 billion rubles will be privatized in 2019, 10.9 billion rubles in 2020, and nothing to plan for 2021. Earlier, Alexey Kudrin said that these plans can not be called ridiculous because they are small. At the same time, the state sector continues to grow, although the president, in his speech to the Federal Assembly, has set the goal of reducing the state's share of the economy. Later, the Ministry of Economic Development replied that the government is considering a number of additional privatization deals, and there is no need to create a direct concurrence between budget figures and what happens. Head of Unit Maxim Oreshkin said privatization is mostly required not only to raise funds in the budget, but also to economic development. For more details on the federal budget for 2019, see TASS.